LDPrestige, a state-of-the-art assembly shop. LDPrestige is the guarantee of the assembly of your wheels and tires carried out by a team of professionals. We have high-end, leverless assembly machines that avoid the risk of friction on the rims. 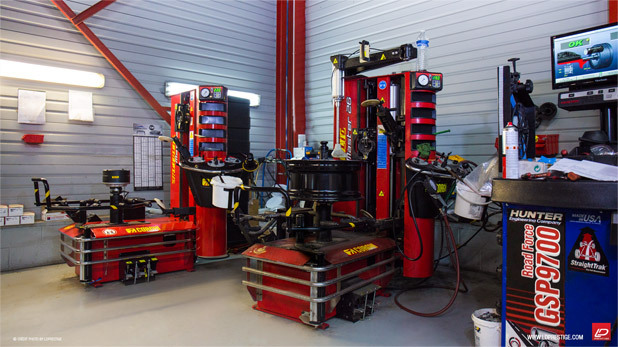 Our workshop has a latest generation balancer reproducing the real conditions of road traffic and allowing us a perfect adjustment of your tires. When possible, the balancing mass is hidden behind the rim legs to keep all the aesthetics of your vehicle. Make an appointment in one of our centers (in the Paris region, or in the Pas de Calais). We welcome you from MondaytoFridayto9h to 12hand14h to 18h. « LDPrestige always closer to his customers, is onfacebook.